McDavitt Veterinary Clinic is a well-established, full-service, small animal and equine veterinary hospital providing comprehensive medical, surgical and dental care. Dr. R.Duane McDavitt began practicing equine medicine in the Carmel/Westfield area in 1965. 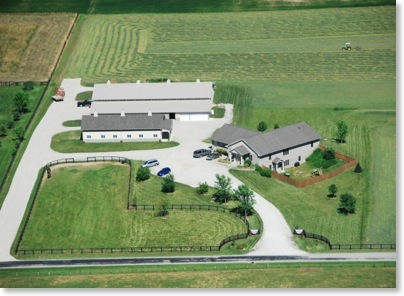 In 1974 he built Maplecrest Equine Clinic, one of the first equine surgical facilties in Indiana. In 1995, Drs. Bruce and Donna McDavitt joined the practice. Dr. Bruce expanded the surgery services to include arthroscopy, and Dr. Donna began providing small animal veterinary services. On October 1, 2000, McDavitt Veterinary Clinic opened at its present location on State Road 32 just east of State Road 421 near Zionsville. Initially only small animal veterinary services were offered at this location, while the equine services continued to be performed at Maplecrest Equine Clinic on 146th street in Westfield. In May of 2009, Maplecrest Equine Clinic joined McDavitt Veterinary Clinic, offering complete equine, canine, and feline care at one facility at the State Road 32 location. We provide a broad spectrum of diagnostic procedures including in-house testing, digital radiography and ultrasound. The facility includes a well-stocked pharmacy, equine and small animal surgery suites, and closely supervised hospitalization facilities.